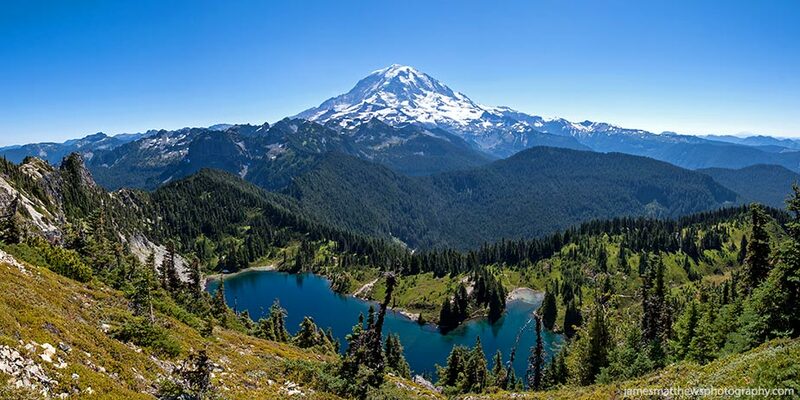 Mount Rainier National Park is one of my favourite places to visit. I’ve been there twice and plan on going back a third time to complete a photographic hiking adventure of the Wonderland Trail (93 miles/150km). This panoramic photo of Mount Rainier is made up of 6 portrait style images that I stitched together and is ready to be printed at 60″ x 30″. The original photo has a native resolution of about 100″ (approx 2.5m) but can be easily increased to a larger resolution.